When running applications on AWS, resources are created and managed collectively as a whole. Often when you expand, it becomes more difficult to keep track of all of the running AWS resources. AWS Config (through which you launch Config Rules) works to oversee all application resources. You can set AWS Config Rules to evaluate configuration settings and if it detects a resource that violates the conditions set by the rules you have established – it sends a notification stating the resource is noncompliant. With Config Rules, users can select from a set of rules built into AWS based on AWS best practices, or make their own unique, custom rules. 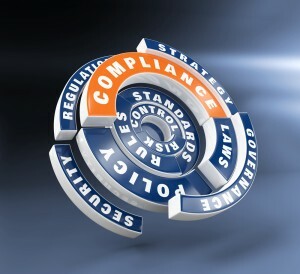 All rules can be monitored via a centralized dashboard which keeps track of compliance status. If your organization processes data that requires regular audits for compliance (i.e. financial information or personal health information), AWS makes running these audits easy to do. Historical configurations, compliance status, and the location of sensitive data are all accessible via the central AWS Config dashboard. Organizations are able to pull compliance reports from the dashboard which then can be submitted to government and regulatory agencies. Config Rules assists with security by keeping track of configuration changes. Often (as is the case with using multiple AWS resources) changing the configuration of one resource may impact other resources, which affects compliance status. With AWS Config, you can view how resources are related to assess how making a change will impact other components of the system. AWS Config can also analyze potential security weaknesses by reviewing historical information such as AWS Identity and Access Management permissions, or security group rules that manage who has access to system resources. As AWS helps to improve business efficiency by providing a scalable, redundant storage and processing platform for business information and data, it now includes audit and compliance support through tools in AWS Config and Config Rules.